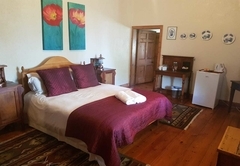 Die Eike Farm Accommodation is a highly recommended Worcester Bed & Breakfast providing accommodation in 8 guest rooms for tourists visiting the Breede River Valley region. 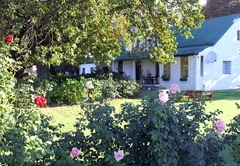 Die Eike farm Accommodation is on a working wine and fruit farm situated in the heart of the Breedekloof Wine Route, 20km from Worcester and 5 km from Rawsonville, with 21 award winning wineries in a radius of less than 10km. 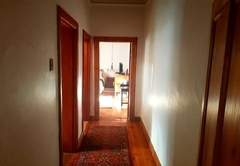 The house is an originally built Cape Dutch homestead from the early 1800’s. Our guests make use of a nearby horse riding school that offers wine tasting trails through the vineyards to our local cellar Badsberg Co-op Winery. In season, on request, we take our guest to participate in the grape harvesting and also for guided cellar tours. Go for a relaxing walk on the farm to pick yourself the freshest fruit you can get. We offer our guest our cellar’s excellent sweet wine during winter in front of a log fire and a crisp dry white wine in summer on the patio. 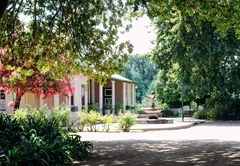 During the hot summer days you can enjoy a barbecue under the oak trees at the swimming pool or just relax in the sun. Accommodation consists of 8 en-suite rooms, each individually decorated, with air-conditioner, tea/coffee facilities and selected DStv channels . All our rooms are non-smoking. 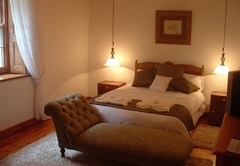 Three suites consist of two rooms, one with a double bed and the other with two single beds, suitable for a family of four. 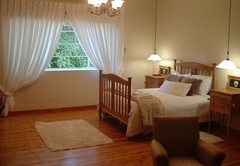 The other five rooms are double bed en-suite and some of them have private entrances and braais (barbecue). 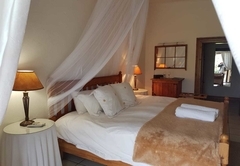 Treat yourself to our luxurious private honeymoon suite with a view over vineyards, citrus orchards and majestic mountains. 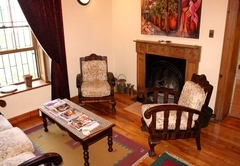 A full English breakfast is included in our accommodation rates and is served in the dining room. Upon arrival reception will assist you with details of the best restaurants in the area. We pride ourselves in providing our guest with an experience on the farm in season and out season with all the peacefulness and tranquillity that you can only get on a wine farm. Accommodation consists of 8 en-suite rooms, each individually decorated, with air-conditioner, tea/coffee facilities and selected DStv channels . All our rooms are non-smoking. 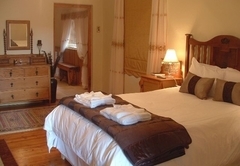 These rooms are double bed en-suite and some of them have private entrances and braais (barbecue). 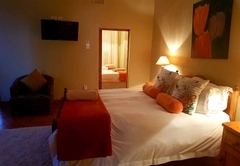 Accommodation consists of 8 en-suite rooms, each individually decorated, with air-conditioner, tea/coffee facilities and selected DStv channels . All our rooms are non-smoking. 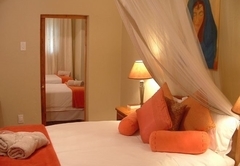 Three suites consist of two rooms, one with a double bed and the other with two single beds, suitable for a family of four. 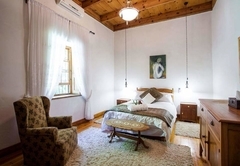 If you are looking for a relaxed, peacefull place set in backgrounds of mountains surrounded by wineyards and orchards this is the place to be. We had a very warm welcome and the Restaurant next to the house is warm friendly with excellent service and food. We had a lovely horse ride on sunday morning in the wineyards and the staff was very helpful. I would definetley recommend this farm to anyone looking for a place to unwind and spend some quality time with family and friends. Thank you for letting us stay there the whole sunday to take in the breath taking views and warmness with a lovely picnic in the gardens of the house. It felt more 5 star than 3 star! We were welcomed with warm open arms. The staff are excellent and friendly. We where looked after as if we were royalty. Thanks to Nolene, whom I spoken to on the phone, and Hanson, who made sure that evering was 110%. We felt extremely special. Thanks guys for everything. You are great.